Whether you are out for a short walk with the dog, taking your children for a leisurely stroll, or taking part in some strenuous long distance walking, then you can do no better than use the North Dorset Trailway. 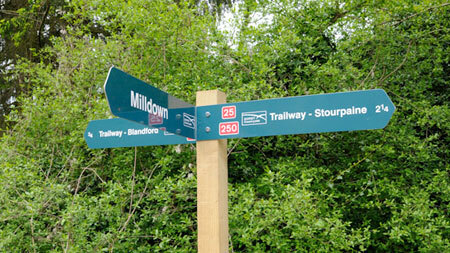 There are numerous access points onto the Trailway, which offers a firm surface, safe crossing points, no stiles, and most importantly is free from motorised traffic. There are links to the Stour Valley Way, The Wessex Ridgeway, The Jubilee Trail, and Hod and Hambledon Hills. Open Access land and nature reserves and woods such as Piddles Wood and Blandford Forest are within easy walking distance of the Trailway. 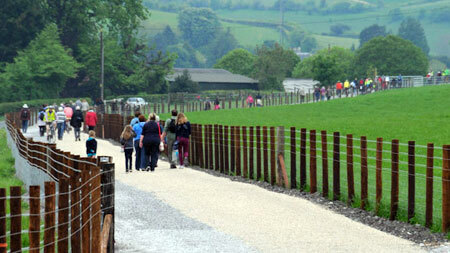 Downloadable walking routes: Simply click on the links below to view and print or download to your device. 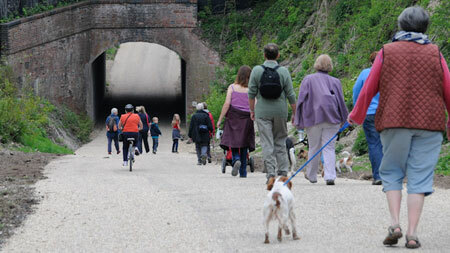 Ramblers Assocation: The Trailway Network is supported by Dorset Ramblers. Ther local Ramblers groups in the Dorset Area and activities are co-ordinated by the Dorset Area Council that meets four times year in Dorchester. There are groups for West , North , South or West Dorset.